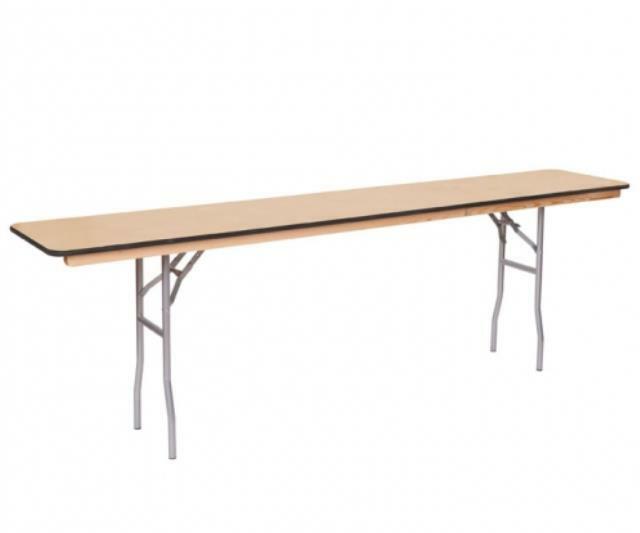 96" Long x 18" Wide x 30" Tall table. Seats four guests on one side. Best for classroom style use.